UK Standard Delivery Service (UK Mainland only) - the standard charge for delivery is £9.95 (FREE OVER £149) and is made between 8am to 6pm. Saturday Delivery Service (UK Mainland only) - the charge for a Saturday delivery is £35 and made between 8am to 1pm. Delivery Lead Times - accurate lead times are clearly displayed below each product but we generally work to an average of 5 to 7 working days. After you provide your address at the checkout, you’ll be offered a range of delivery options - just choose the one that suits you best. There is a premium charge for off-shore deliveries and lead times may extend to 1 or 2 days above our standard lead times. 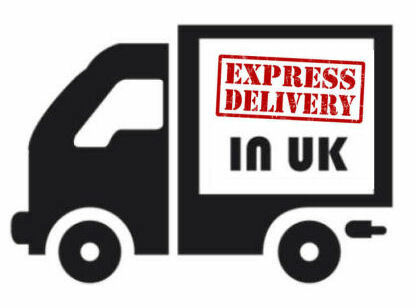 Prices for off shore & remote area deliveries are £45 and this includes, Isle of Wight, Isle of Man, Scottish Highlands, Scottish Isles, Isle of Scilly, Ireland & Channel Islands. This is a service to prioritize the manufacturing process and is not a guaranteed next day delivery service. Orders placed before 10am can be made & dispatched anywhere between 24 to 72 hours (excludes weekends & bank holidays) and is only available for delivery to UK mainland. Express Delivery Service - we charge a fee per blind to prioritize the manufacturing process at the factory. Express Delivery Charges - prices may differ from product to product. but the price you pay will be indicated on the 'your shopping basket' page when choosing to have the express (if available) service..
Express Cut Off Times - orders to qualify for the dispatched lead times need to be placed before 10am. You can now track your order with our real time online order tracker from production all the way to your front door. Delivery Date - an estimated delivery date is indicated on your invoice and order acknowledgement when placing an order. .
Dispatch of Order - when your order has been dispatched from the factory we will send you an email notification the day before. 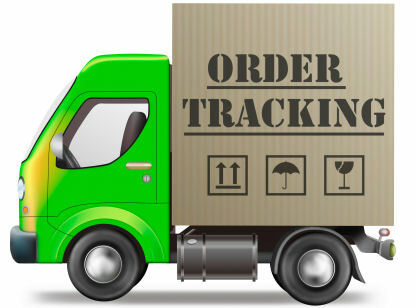 Tracking your Order - after receiving your dispatch notification you can track your order using our online tracker. You'll be able to track your order from the main carrier hub to the final delivery destination. Here you’ll find answers to the most common questions about delivery of your order. If you can’t find what you’re looking for, just email us or give our customer services team a call on 0845 533 1023. We’re always happy to help. 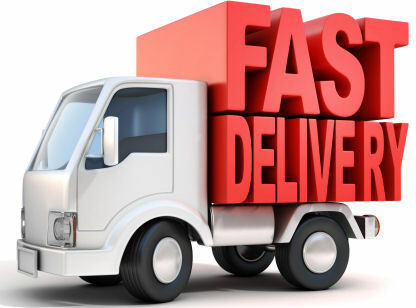 What are your lead delivery times? - The majority of orders are delivered within 5 to 7 working days but some take a little longer. If you visit a product page you will see the delivery time displayed just underneath the box where the measurements are entered. Where is my order? - you can track your order with our order tracker. We will also send you an e-mail when your parcel is ready to be dispatched, this will include a tracking number so you can track the delivery direct with the courier. Can I have my order delivered to an alternate delivery address? - Of course you can. We are more than happy to deliver to an alternative address; many of our orders are delivered direct to our customers at their work address. Where can you deliver? - We can deliver to any address within mainland UK. We are also able to deliver to Northern Ireland, Scottish Islands, Isle of Man and Isle of Wight for an additional fee of £45. If you live in the Channel Islands or Republic of Ireland we can deliver to you too and the delivery charge will depend on the weight of your order. Naturally all our sales to the Channel Islands are VAT free. Please contact us for a quotation. Do I get notified of dispatch? - Absolutely. Once your order is ready for dispatch we will notify you via email with a planned delivery date and a tracking number. What happens if I’m not in when the delivery arrives? - Not a problem! If you’re not there when the delivery arrives then the delivery driver will leave a card with details of how to rearrange for a more convenient time. And don’t worry the redelivery is free of charge. The parcel is damaged, what do I do? - All our deliveries are fully insured against damage, if the packaging is damaged in any way, please write ‘damaged’ on the delivery note. If you inspect your order and it is indeed damaged then we are very sorry. Please contact our customer service team and we will arrange a replacement. I have only received some of my blinds, where are the remainder? - Please note that if you order more than one product they may come from seperate factories therefore will they be on seperate deliveries.